Recently I received a note of introduction by a company called Ancesserie. That the note came electronically shoudn’t be seen as a self-contradiction. Ancesserie, you see, makes stationery on 19th-century letterpresses. Based in South Carolina, the company’s founding is pretty fascinating and you can read about it here. Over the past few years, hipsters have revitalized a lot of this type of thing, including hand-stamps that read “bulls**t” (don’t you wish you could carry that around and stamp everything you see? ), and the Field Notes brand rose to such prominence it got into J. Crew. Consider this a more formal alternative. 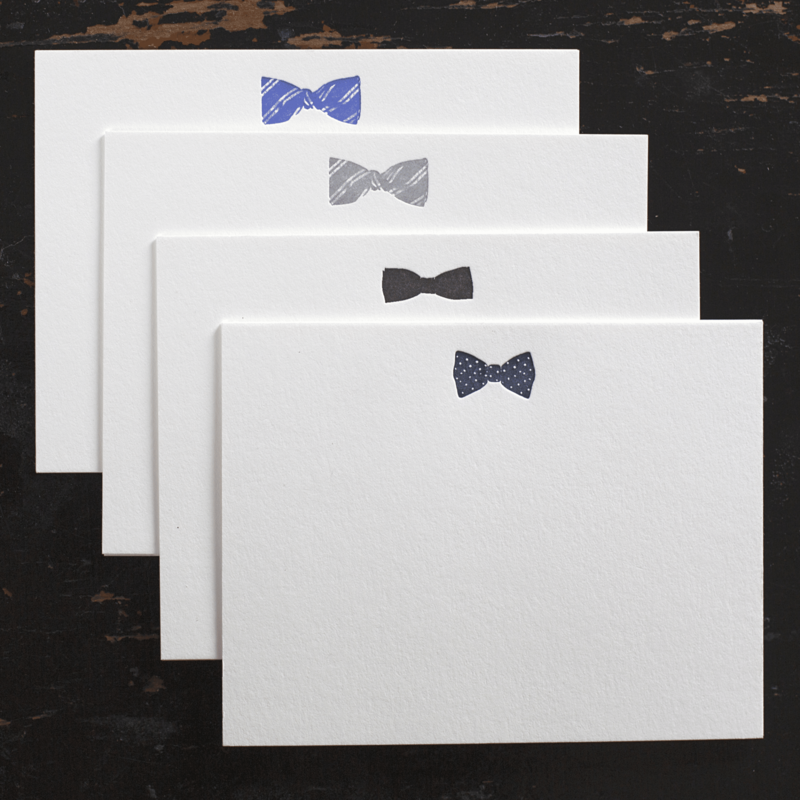 For what could encourage elegance and style more than jotting down your notes and grocery list on notepads emblazoned with bow ties? 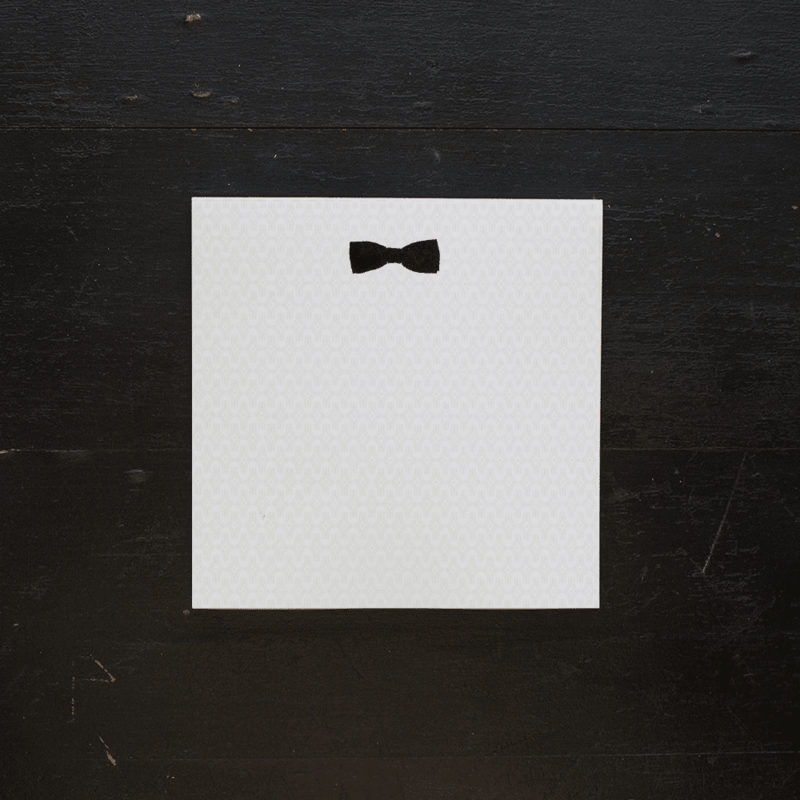 There are also envelopes for the dying tradition of the handwritten note — one that follows the guidelines of Strunk & White, of course.